Across the country, personal injury law firms handle hundreds of thousands of personal injury cases each year. And yet, only a handful of these cases will make headlines or spark heated debates among your friends and family. Why don’t we hear more about specific personal injury cases? For starters, of these thousands of cases, a majority are settled outside of the court—with a small percentage requiring a trial to reach a resolution. Secondly, in order for a case to make a huge stir, it typically has to establish some kind of precedent. Notable personal injury cases may not be the first of their kind, but the first to really make an impact on the future: whether it’s regarding business regulations, industry standards, or new legislation. The following cases made waves during their trials and continue to be relevant today. 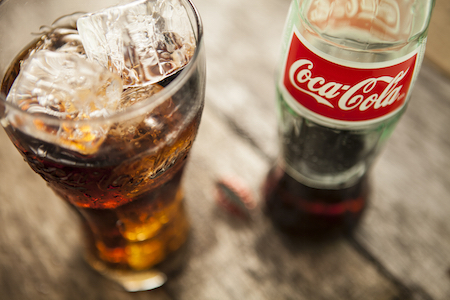 In a case that made its way to the Supreme Court of California, plaintiff Gladys Escola, a waitress in a restaurant in California, sued Coca-Cola Bottling Co. and won. During one of her shifts, Escola was putting glass bottles of Coca-Cola in the refrigerator, and one exploded while in her hand. The explosion resulted in injuries including a 5-inch cut in her hand, which severed surrounding blood vessels, nerves, and muscles. Previously, Escola had been awarded damages, but Coca-Cola appealed the decision. The Supreme Court of California affirmed the decision of the original jury. Though this case happened decades ago, it is still relevant today because it helped establish the common law of product liability. The original jury and the Supreme Court of California agreed that a manufacturer should be held responsible for faulty or unsafe products. This case specifically helped established the concept of strict liability, which means that companies are responsible for the safety of their products even if no negligence was involved. In 1990, a college student named Julie Miramon was involved in a serious car accident in 1988. Two years later, she was involved in another car accident. Following each accident, Miramon suffered from extreme stress and anxiety, developed an eating disorder, and sought treatment from various doctors and therapists. After an unsuccessful trial and then an appeal, Miramon was awarded $6,000 for emotional and psychological trauma in addition to $790 for medical expenses. This case matters because it established that one could suffer from emotional trauma following an accident or injury. Even if there are no physical signs of damage, an emotional disturbance can greatly affect someone’s quality of life. And because of this, someone who suffers emotional or psychological trauma can be just as entitled to compensation as someone who was physically injured. If you are in the San Antonio area and are suffering due to an injury or accident that wasn’t your fault, you may need the help of a personal injury law firm. Learn more about our legal services below, and contact us if you’d like to discuss your individual situation.